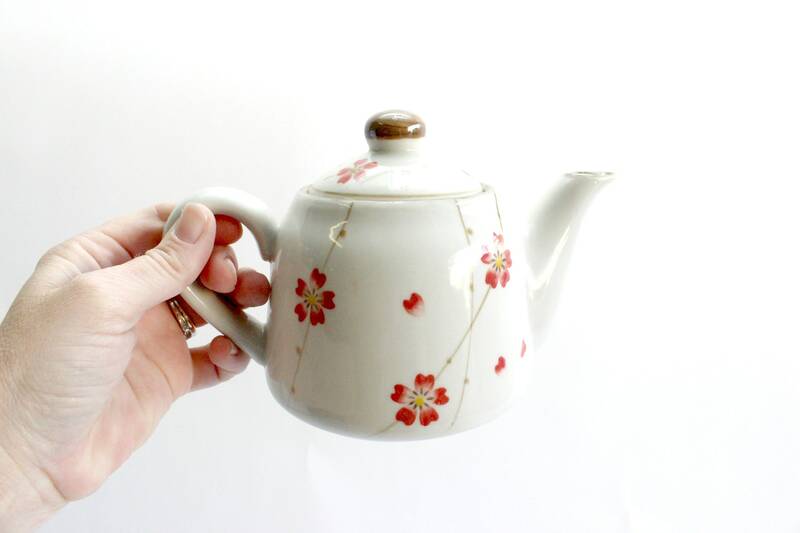 Lovely vintage floral teapot. 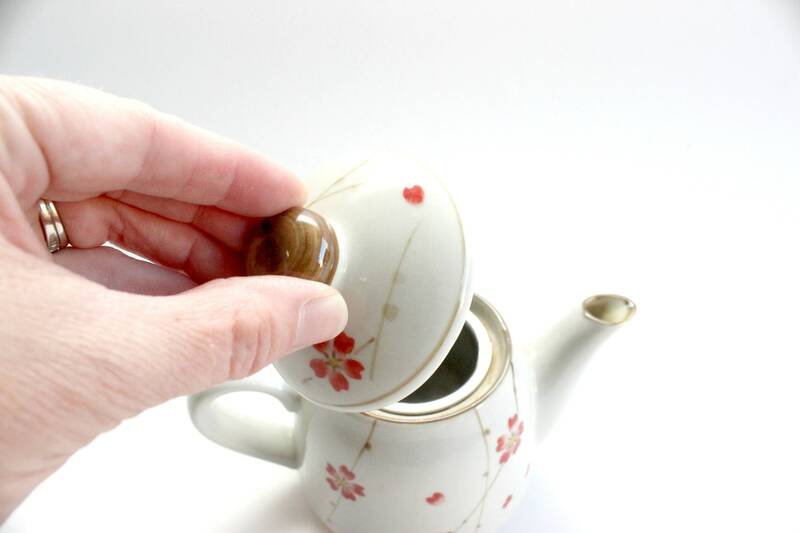 Small porcelain teapot perfect for one serving. 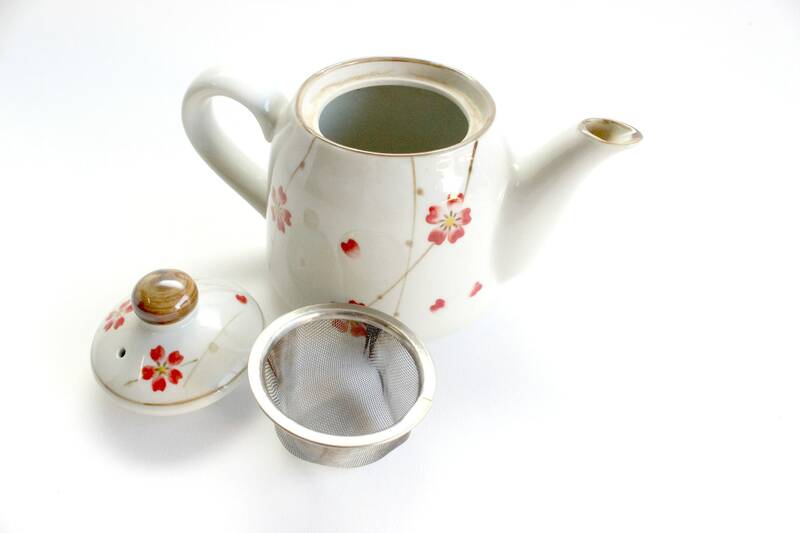 Comes with a wire strainer insert and removable lid. 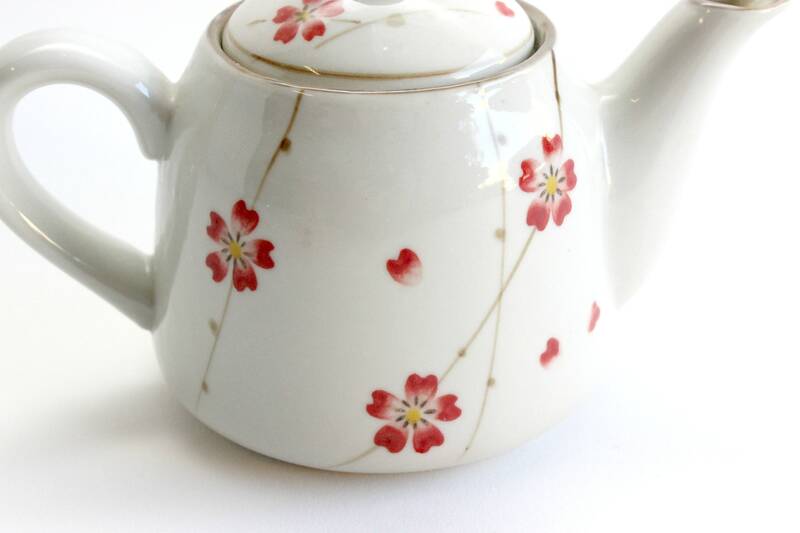 White teapot with a red/orange floral design. Brown trim and accents. Perfect for a bohemian style kitchen! Good vintage/used condition. 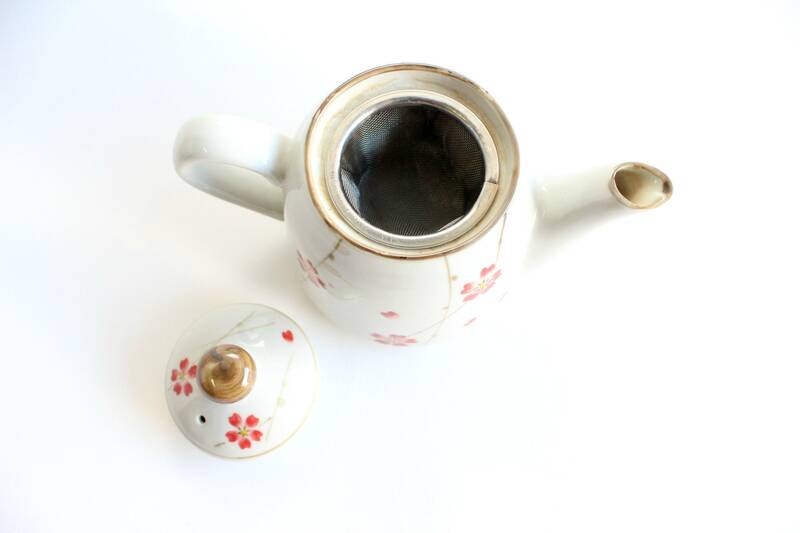 Some tea stains around the inside lip of the the teapot. 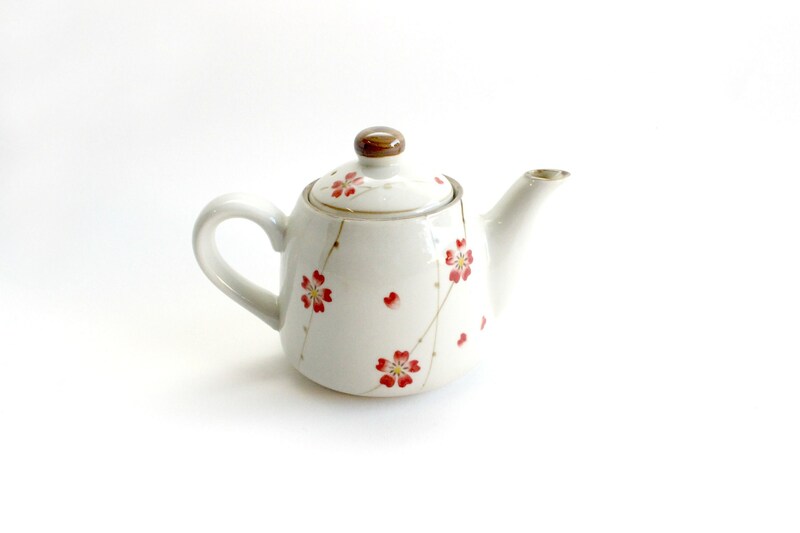 Measures 7 inches long, 4 inches wide and 4.75 inches tall. Holds about 1 - 1.5 cups.